NEW DELHI: Centre has approved a three-year budget for its flagship public health programme almost 20 percent lower than what the health ministry said was needed, according to sources and previously unreported government documents reviewed by news agency Reuters. The finance ministry in August renewed the National Health Mission with Rs. 1.3 lakh crore ($20 billion) of funding between 2017-20, against the health ministry’s estimated requirement of Rs. 1.6 lakh crore ($25 billion), the documents showed. Officials familiar with the plan said the finance ministry reduced planned funding because of other spending priorities and because of state governments’ poor track record of spending the health budgets they’ve been allotted in the past. The finance and health ministries did not respond to several requests for comment. 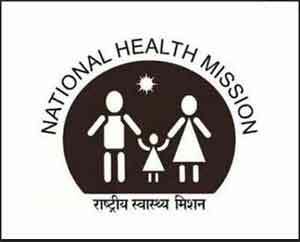 The National Health Mission is one of the world’s largest health programmes and forms the backbone of public services in India. It provides everything from free medicines to immunization services to millions of rural poor. The Narendra Modi government has hiked funding for the overall health budget this year as part of a plan to improve care and meet a 2025 goal of raising health expenditure to 2.5 percent of GDP from the current 1.15 percent. The National Health Mission typically accounts for about half of the union health budget and officials said the lower spending approval would make achieving the government’s 2025 target more difficult. After focusing on maternal and child health for years, the programme had planned to broaden its priorities to tackle the rising threat of non-communicable diseases (NCDs). Faced with the lower funding, the health ministry has reduced its three-year allocation to tackle NCDs such as cancer and diabetes to Rs. 9,000 crore ($1.4 billion), close to half of the estimated need of Rs. 15,500 crore ($2.4 billion), the documents showed. The Lancet, a British medical journal, last week said NCDs caused a disease burden in India “like never before”. More than 60 percent of deaths in the country during 2016 were due to non-communicable diseases, up from about 38 percent in 1990, according to the publication. While funding for such diseases up to 2020 will be higher than in recent years, the lower-than-planned approved funding will slow government efforts to tackle these diseases, two government officials said. “The cutbacks in NCDs (spending) are dangerous … this can potentially stall the NCD screening and management plan,” said Oommen C. Kurian, a health researcher at the Delhi-based think-tank Observer Research Foundation. The government this year introduced free NCD screening for patients in 100 districts, with plans to eventually cover the country. Beyond non-communicable diseases, spending on strengthening the health system – such as improving district hospitals and patient transport services – will be an estimated Rs. 28,000 crore ($4.3 billion) between 2017-20, a third lower than the ministry’s request. Planned funding for immunization will be Rs. 19,000 crore ($2.9 billion) versus Rs. 21,000 crore ($3.2 billion) requested. The spending breakdown for different schemes will be finalised once the health ministry is allocated funding in India’s annual budget. The Modi government has taken steps to improve public healthcare including a 27 percent budget hike this year to Rs. 45,000 crore ($7 billion), accompanied by cuts to prices of critical medical devices and drugs. Shamika Ravi, a health expert at Brookings India, said the Narendra Modi government was also pursuing “fundamental structural reforms” to improve healthcare, such as the ranking of district hospitals and empowering state medical officers. “There is a lot of background work happening,” said Ravi, who is also on Prime Minister Modi’s economic advisory council. However, critics say more needs to be done to address the underfunded and overburdened public health system. Some 9,00,000 children in India died before turning five in 2016, the highest in the world, The Lancet estimates. In March, health officials faced criticism from other government departments for the National Health Mission’s inefficiencies and were asked to rework the renewal proposal for 2017-20 after they drew up spending estimates of Rs. 2.14 lakh crore ($33 billion). The health ministry revised the cost to nearly Rs. 1.6 lakh crore ($25 billion), but the finance ministry reduced estimates by another Rs. 32,500 crore ($5 billion) while approving the plan, the documents showed. The estimates were pared back because the Modi government has other priorities and because the finance ministry wants to control spending as it seeks to balance fiscal deficit targets while boosting growth, several government officials aware of the process said. “It’s about political priorities – you have programmes on roads, on infrastructure, on ports,” said one of the officials, speaking on the condition of anonymity. The central government is also concerned that states do not have the governance capacity to spend large health budgets efficiently, officials said. A shortage of workers, bureaucratic bungling and slow procurement processes have plagued the states’ health systems. More than Rs. 9,000 crore ($1.4 billion) in health budgets was unspent by states by 2015-16, India’s federal auditor said earlier this year.